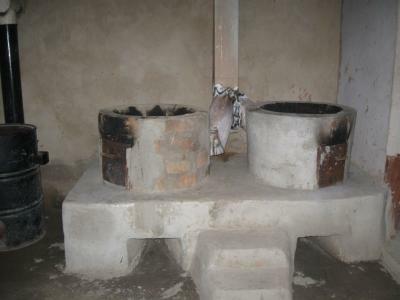 Currently, we are developing high power improved stoves for institutions.The key features of the design is adopted based on the household stoves developed and promoted by Debesai Ghebrehiwet in Eritrea. 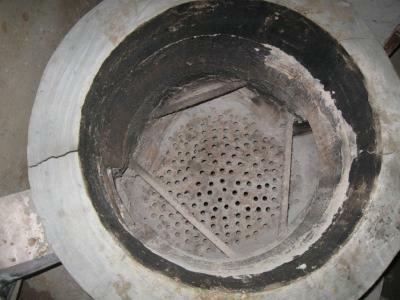 It lifts the fire chamber off the ground so the air can flow underneath through the perforated fire grates which held the fire chamber that increases the combustion efficiency and retains heat while raising the cooking pot to the hottest point above the flame. We got a fantastic result from the heat transfer efficiency point of view. But we faced a problem in Controlling the smoke which passes by the sides between the pot and the walls of the fire chamber. Do you have any idea how we can control such situations with out buying additional materials like Pot skirt.